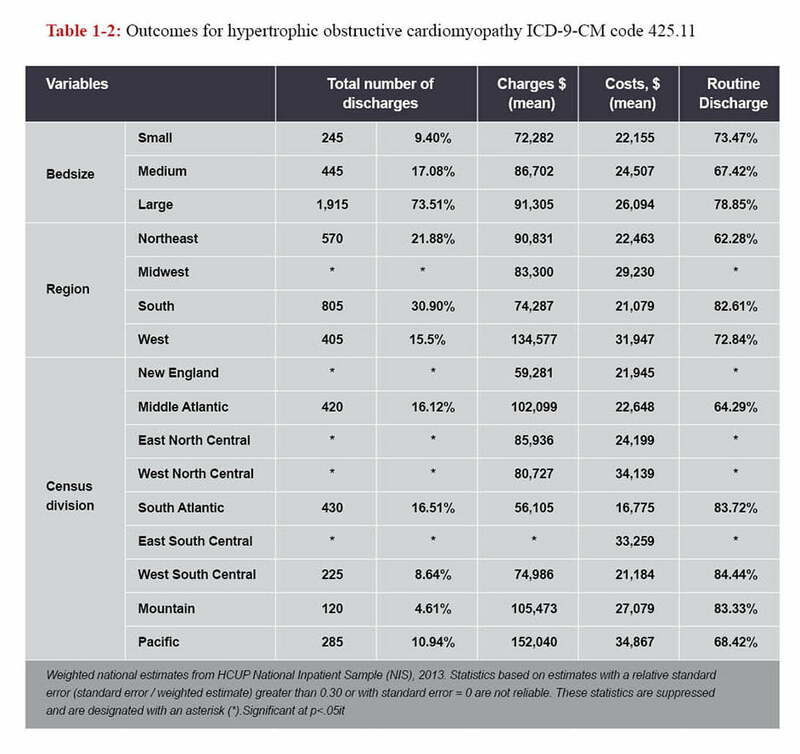 Objective: To evaluate the demographics of patients admitted with Hypertrophic Obstructive Cardio-Myopathy (HOCM) and the financial burden of this disease on the health care system. Methods: The Healthcare Cost and Utilization Project (HCUP), sponsored by The Agency for Healthcare Research and Quality’s (AHRQ), includes the largest collection of longitudinal hospital care data in the United States of America. HCUP creates the National In-patient Sample data (NIS) to help conduct national and regional analyses of inpatient care. Using the NIS data (2013), we performed a retrospective cohort study that involved patients who were admitted and treated for HOCM. Results: A total of 2605 patients were admitted for the principal diagnosis of HOCM in 2013.Mean hospitalization was 4.9 days. In our total population, 33% of the patients were above 64 years of age. Mean cost of admission was 25,433$. Private insurance and Medicare or Medicaid paid for 43% and 47% admissions respectively. 76%, 3.5%, 4.6% and 13% patients were discharged to routinely home, another short term hospital, nursing home and for home health care, respectively. Conclusions: HOCM admissions are relatively uncommon but effects all ages. Most of these patients were treated at a private hospital, and the hospital costs were very high. Large number of patients required rehabilitation services after discharge which increase financial burden on health care system. Hypertrophic cardiomyopathy (HCM) is a complex but relatively common form of genetic heart muscle disease and has been under investigation since more then last 50 years.1-4 Prevalence of the disorder in the general population is estimated to be 0.2%.5 It is often identified by clinicians later on in the disease course. A subset of patients with HCM has hypertrophic obstructive cardiomyopathy (HOCM), in which systolic septal bulging into the LVOT, malposition of the anterior papillary muscle, with enlarged posterior mitral leaflet and hyperdynamic LV contraction and drag forces, through a Venturi effect, provoke systolic anterior motion of the anterior leaflet of the mitral valve (SAM), contributing to the creation of the LVOT gradient.6 HOCM is the most common cause of heart-related sudden death in people under 30 years of age 7, and it can also be responsible for exercise intolerance at almost any age. HOCM occurs in both genders with female dominance and has been reported in many races.8 Although HOCM is a chronic disease without a known cure, a number of treatments options are now available to alter its course. In 2014, U.S. health care spending increased 5.3 percent to reach $3.0 trillion, or $9,523 per person. The share of the economy devoted to health care spending has been rising to 17.3 percent in 2013. Further spending for hospital care increased by 3.5 percent in 2013. Spending growth for freestanding home health care agencies accelerated in 2014, increasing to $83.2 billion.Similarly total private health insurance expenditures increased 4.4 percent (33 percent of total health care spending) to $991.0 billion in 2014, faster than the 1.6 percent growth in 2013 along with nursing home and rehabilitation expenses. 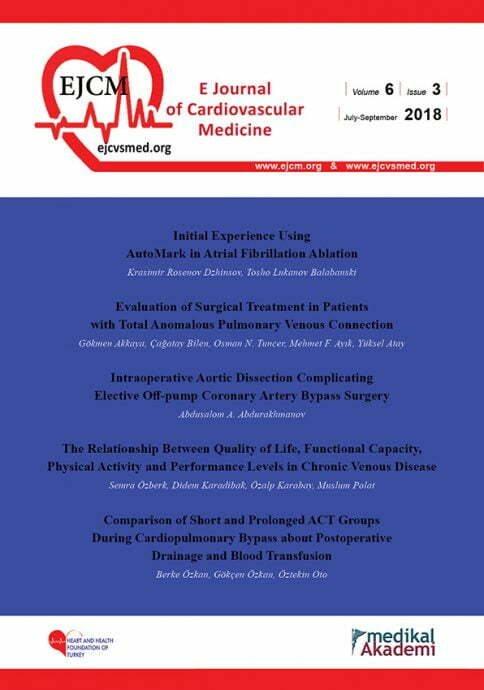 In this age of exponentially rising costs of health care, we wanted to assess the management cost of patients admitted to hospitals with the lethal diagnosis of Hypertrophic Obstructive cardiomyopathy(HOCM).We wanted to further look at their demographics and quantify the financial burden of this disease on the individual patient and health care system across USA. The Healthcare Cost and Utilization Project (HCUP), sponsored by The Agency for Healthcare Research and Quality’s (AHRQ), includes the largest collection of longitudinal hospital care data in the United States of America. HCUP creates the National Inpatient Sample (NIS) to help conduct national and regional analyses of inpatient care. Using the NIS (2013), we performed a retrospective cohort study that involved patients who were admitted and treated for Hypertrophic Obstructive Cardiomyopathy. To identify these patients we used ICD-9-CM principal diagnosis code 425.11. ICD-9-CM stands for the “International Classification of Diseases – 9th revision – Clinical Modification.” The “principal diagnosis” is that condition established after study to be chiefly responsible for occasioning the admission of the patient to the hospital for care. The principal diagnosis is always the reason for admission. The unit of analysis for HCUP data is the hospital discharge (i.e., the hospital stay), not a person or patient. This means that a person who is admitted to the hospital multiple times in one year will be counted each time as a separate “discharge” from the hospital. Using statistical analysis we compared the demog-raphics, geographical distribution and the cost of treating these patients. Unweighted, HCUP contains data from more than 7 million hospital stays each year. Weighted, it estimates more than 36 million hospitalizations nationally taken from more than 4,000 HCUP participating hospitals. A total of 2605 patients were admitted for the principal diagnosis of HOCM in 2013.Mean Length of hospital stay was 4.9 days. 55% of the patients were women.33% of the patients were above 64 years of age, whereas 18% patients were aged below 45 (Table 1). Hospital “charges” is the amount the hospital char-ged for the entire hospital stay. It does not include professional (MD) fees. “Costs” tend to reflect the actual costs of production, while charges represent what the hospital billed for the case. Total charges were conver-ted to costs using cost-to-charge ratios based on hospital accounting reports from the Centers for Medicare and Medicaid Services (CMS).Mean cost of admission was 25,433$ and Median cost of admission 19,422 $. But the mean hospital charge for the admission was 88,646 $ and median Hospital charge 58,460$. Highest charges were for the patients with the following factors below 44 years of age, private insurance being the payer, West region of USA and Pacific census division.47% of admissions were paid by either Medicare or Medicaid and 43 % of admissions were paid by private.5% patients were uninsured.82% patients were taken care at private hospitals. 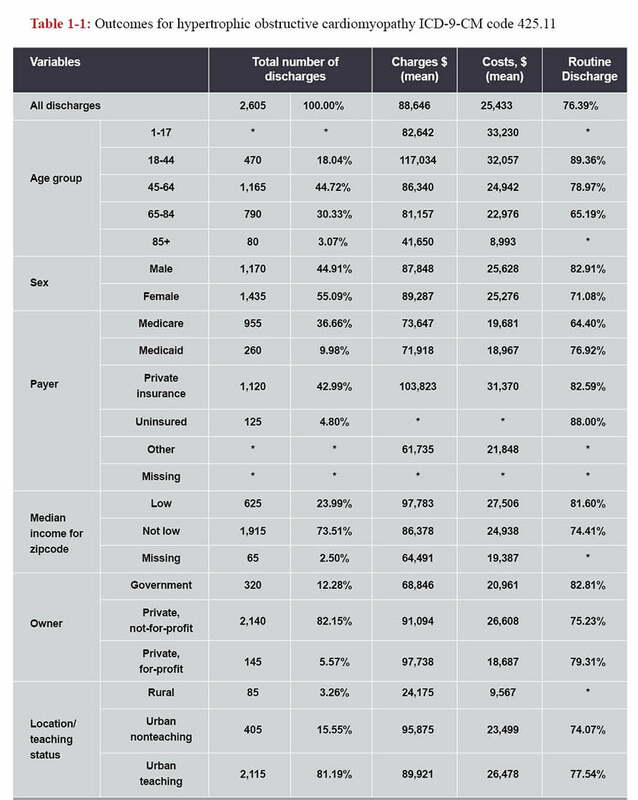 74% patients belonged to a high income area in the country (Table 1). Bedsize categories are based on hospital beds and are specific to the hospital’s location and teaching status. The definitions of small, medium, and large hospitals vary by region . A hospital is considered to be a teaching hospital if the American Hospital Association (AHA) Annual Survey indicates it has an American Medical Association approved residency program, is a member of the Council of Teaching Hospitals (COTH), or has a ratio of full-time equivalent interns and residents to beds of 25 or higher. Teaching hospitals took care of 82% of these admissions (Figure 1). Discharge status indicates the disposition of the patient at discharge from the hospital, e.g., routine (home), to another short term hospital, to a nursing home, to home health care, or against medical advice (AMA).Increase in age has a inverse relation with routine discharge i.e from 90% to 65% decline as age goes from 18 to 85 years. (Table 1) 20% of the patients require further institutional care after discharge (Figure 2). Our study presents valuable real-world information regarding HOCM from the largest available inpatient care database. HOCM admissions are relatively uncommon but effects all ages. Its admissions are relatively more common in South of USA and in high income population. Most of these patients were treated at a private hospital, and the hospital charges were very high. Large number of patients required care after discharge adding to the cost of already very expensive treatment.